The impact of the financial crisis of 2008 wasn't limited to just the United States. Its impact was felt worldwide and had a substantial impact on the small island country of Iceland. Prior to the crisis, Iceland became home to newly bought Range Rovers traversing the beautiful and remote countryside, and free flowing credit that created a prosperity that was unfamiliar to the small country. When the crisis hit, it resonated like one of the country's many active volcanoes and led to a huge drop in the value of the country's currency, banks becoming nationalized and the jailing of executives and officials deemed responsible for the crisis. For an American, the thought of people actually going to jail for the crisis that ruined the savings and lives of many may seem unique. For most Americans the best explanation for the 2008 financial crisis is found in the movie, 'The Big Short', and although 'Occupy Wall Street' brought some Americans to the streets, it pales in comparison to the fact that after the crisis, Iceland's Parliament was faced with daily protests from a large percentage of the population until change was effected (when you have 20,000 people coming out to protest regularly out of a country with 300,000 residents, that percentage of unhappy people seeking change is staggering). It's this kind of outrage and constructive nationalism that ultimately helped Iceland to correct its situation, create change and return to a cohesive country after the crisis. It shows the Icelandic values of independence, pride and finding solutions in the face of problems (a must have in a country that has brutal and strange weather patterns as well as extended periods of darkness during the day and light at night), that I've come to recognize in my travels there and my experiences with the people there. One of the results of this Icelandic thinking after the crisis was the creation of a digital currency that was not seen to be THE solution to the country's financial woes, but a way for Icelanders to experiment with a new concept that many felt would have a significant impact on the way banking and financial transactions would be done in the near future. 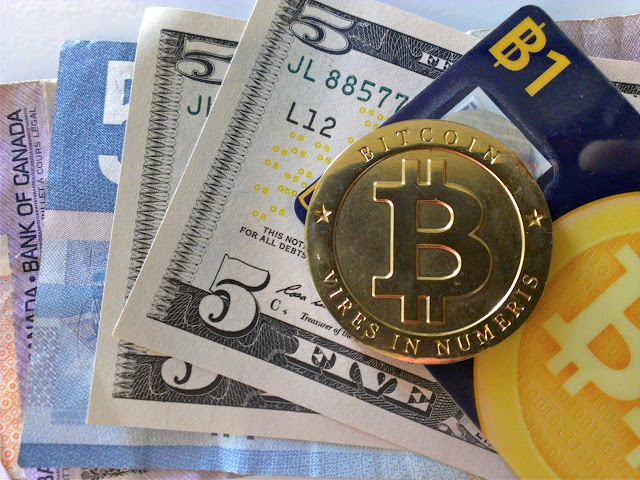 The devaluation of the Icelandic currency, the krona, and restrictions of currency flight out of the country (which caused confusion regarding bitcoin and cryptocurrencies for residents), and the severe restrictions of currency flight out of the country were actions that the Icelandic government took that ultimately led to the creation of a bitcoin-like digital currency called Auroracoin, specific for Icelanders. Auroracoin was influenced by the launch and success of Bitcoin. They both shared an anonymous creator. For Bitcoin, it was the Japanese Satoshi. In Iceland, the home of Sagas and Nordic legends, Auroracoin's creator was Baldur Friggjar Óðinsson, which is based on Norse mythology, referencing Baldur, his mother Frigg, and his father Odin. The coin followed the Bitcoin creation methodology and employed a proof-of-workalgorithm proof of work based on Litecoin. Because of Iceland's financial problems and its nationalistic pride to transcend the crisis, the creators of Auroracoin decided to give the digital currency to all of Iceland's residents. An "air drop" of the currency was released to all Icelanders, with the intent of providing 50% of the created Auroracoin to residents. They were able to achieve this because of their ability to use the government's national identification system. The coins were released with a USD value of about $12 and Icelanders initially received the equivalent of $385 each (31.8 AUR each). As the "air drop" continued, the price of Auroracoin dropped drastically. When the final stage of the air drops happened on March 24, 2015 (the final step of “burning” the remaining coins took place after this), nearly 1.7 million coins were claimed by more than 2,600 Icelanders. The price of the coin had fallen to a price level that created a payout of 636 coins to every resident. "The expectations were huge," said Pétur Árnason , who is a leader with the current Auroracoin Foundation. "There were really unrealistic expectations and a misunderstanding that the Icelandic government was involved." Along with the drop in price, was a loss of confidence and enthusiasm for the new digital currency. Few, if any, retailers were willing to accept the digital currency and it was soon considered a "failed experiment". Pétur (Icelanders are referred to by their first name) was among those Icelanders who had become aware of Auroracoin after the “air drop” started, but it was months later that a conversation with a co-worker about it got him more interested in it and actively looking into how they were created. A computer scientist and software designer, Pétur soon learned that the coin could be mined by individuals. "There were just small amounts of gritty miners that came to it in the beginning." Pétur discovered that the infrastructure of the coin was based upon Litecoin and its algorithm allowed for mining. "People with a graphic card could mine for it. So that got me interested." For him, he saw the solution was to harness the wealth of talent that existed in the country in the form of programmers, computer technicians and others interested in the potential of the new digital currency to create more opportunities for the Auroracoin ecosystem and focus on the adoption of the coin in Iceland. Although Pétur was spending a fair amount of time working with Auroracoin, he had no direct involvement with the coin and its developers until a chance meeting brought him directly into the world of Auroracoin, where he now plays such an important role (this is not rare in Iceland, where it often seems that everyone knows each other). "I met with a guy who was selling me a motherboard for my mining process who had actually been the spokesman for the Auroracoin," Pétur recalls. During the transaction of buying the motherboard, it was a glance at the person's desk where he saw a paper about cryptocurrencies that led Pétur to enter into a lengthy discussion about it with the person. It was then that he recognized that Auroracoin was not only about an "experiment" for Iceland but that these types of digital currencies could actually change and benefit the societies that utilize them. Pétur recognized the value in Auroracoin and what it was trying to do, so he took advantage of the chance meeting to seek a role with the players behind the digital coin. He soon realized that the obstacles to success for the coin in the country were many. Merchants weren't accepting it as currency. There wasn't an exchange available for holders of the coin to transfer it into the Icelandic currency, krona. Officials in the government were calling it a "financial scam." A web wallet that was intended to hold Auroracoin turned out to be a scam. There was little if any confidence in Auroracoin and Pétur soon recognized that there was really no infrastructure for informing, educating or publicizing the efforts around the coin. This didn't deter Pétur, who soon was now actively connecting with the people, Icelanders and foreigners, who were involved with the coin from the beginning. "I started to gather up supporters of the coin and that took quite awhile. I created a new forum because their official forum had been hacked, and that was when we started to regroup," he recalls. He soon found that the anonymous creator of Auroracoin had disappeared, which was intentional. "He just wanted the community to take over and continue the work. He didn't want to be in that position," Pétur said. However, Pétur's work and enthusiasm were soon recognized and the anonymous creator actually came forward to support Pétur's efforts (he also soon burned the remainder of the coins, as he had planned). Additionally, the Auroracoin Foundation was created and one million Auroracoins were donated to it by its creator to continue its work. The foundation is now working to raise awareness of Auroracoin throughout Iceland and herald the progress and openness that exists around the coin's resurgence. A recent campaign by the foundation included advertisements around the country that simply showed the Auroracoin logo in an effort to show that it still survives. Pétur recently posted his ability to buy a beer at a downtown Reykjavik establishment with Auroracoin. Regular open developer meetings are being held to bring in Icelandic's top computer and programming talent to enhance and improve the coin's infrastructure. The recent governmental scandal due to the Panama Papers has led to Iceland's leading political party now being the Pirate Party. Its leader and potentially, future Prime Minister is Birgitta Jónsdóttir, who has voiced her support for digital currencies. This leads some to believe that the small country of Iceland may soon find its way to seeing Auroracoin rise like the mythical phoenix and play a role as the first national digital currency. If you know the history and sagas of Iceland, you realize that many things are possible in the small country. I got a glimpse of this when upon completing my interview with Pétur, he pointed across the street from my hotel to a flag that was flying high above an office building. It was the Auroracoin logo on the flag and the impending storm (another one?) from the north was causing it to wave proudly as if to say, we're still here, to Iceland and the world.